Naseeruddin Shah's keynote address at the Ajmer Literature Festival has been canceled on Friday after protests erupted over the actor's recent remarks on the Bulandshahr violence. Earlier this week, the Bollywood actor found himself at the centre of a major controversy over his remarks about the killing of a policeman in Bulandshahr. The controversy started after a video emerged on social media in which Shah can be heard saying "the death of a cow has more significance than that of a police officer." He also asserted that living in this country, he worries for his children, "I feel anxious for my children because tomorrow if a mob surrounds them and asks, 'Are you a Hindu or a Muslim?' they will have no answer. It worries me that I don't see the situation improving anytime soon." Shortly after the video went viral, many people took to the streets to protests against the veteran actor. They expressed their anger by showing black flags and burning the actor's effigy. Clarifying his remarks a day after, Shah explained that he was merely expressing his concerns as a countryman. "I have done no wrong in expressing my concerns about the country which I love and where I live," he explained. The video was put online by the Karwan-e-Mohabbat India on Monday. A number of political leaders condemned the remark made by Shah, with some even suggesting the 'A Wednesday' star to move to Pakistan. 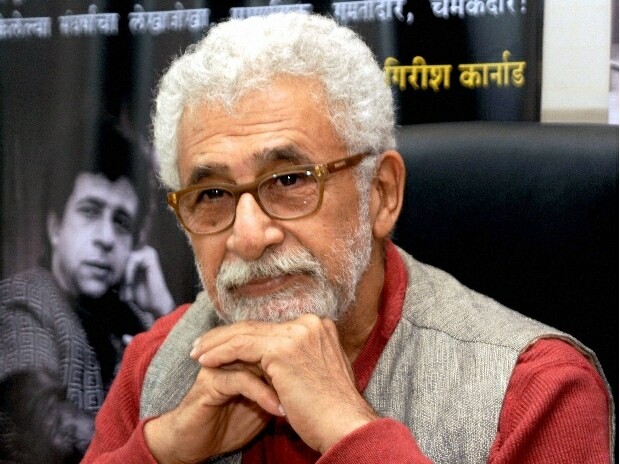 "This country gave such name and fame to Naseeruddin Shah and if he feels insecure here, he could consider going to Pakistan," said Shiv Sena spokesperson Manisha Kayande. Meanwhile, Uttar Pradesh BJP chief Mahendra Nath Pandey said Shah seems to have developed the sentiments of his on-screen character of a Pakistani agent that he portrayed in one of his movies. "I think that sentiment has got awakened in him (Shah) now," he told ANI.